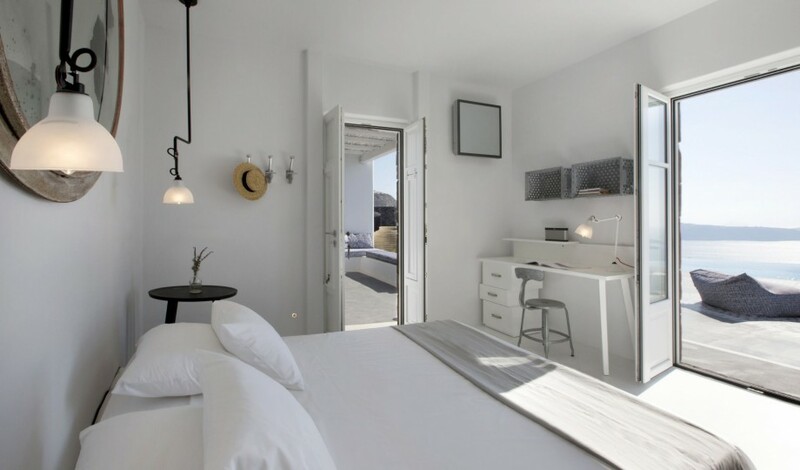 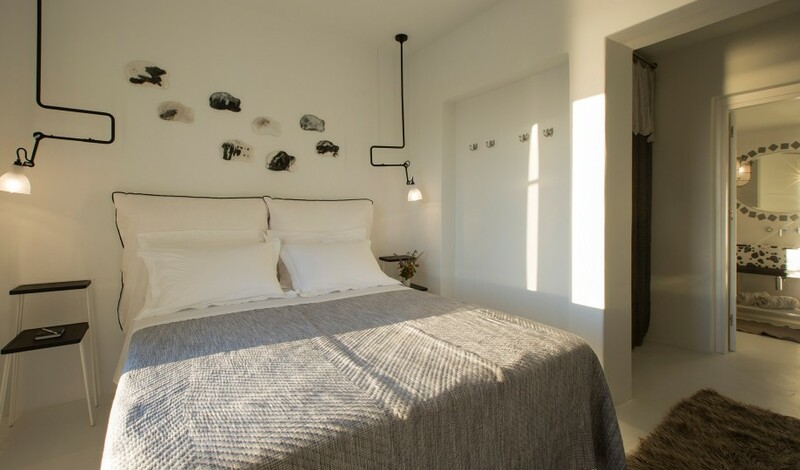 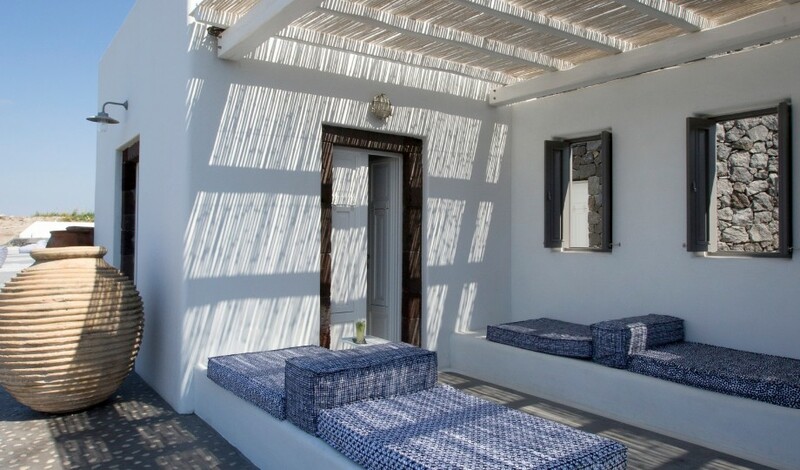 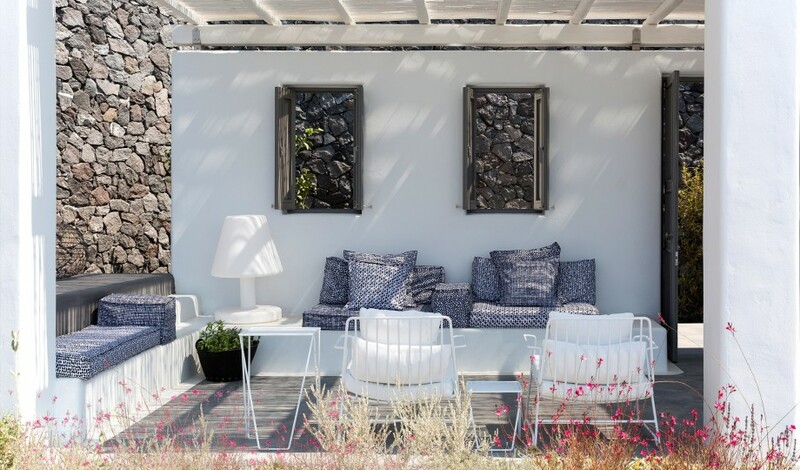 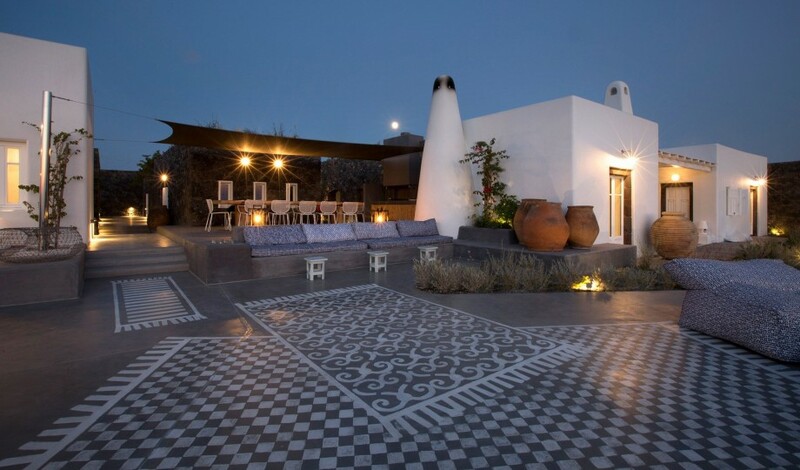 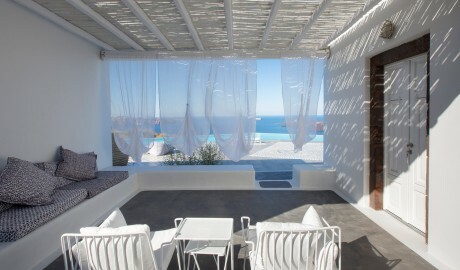 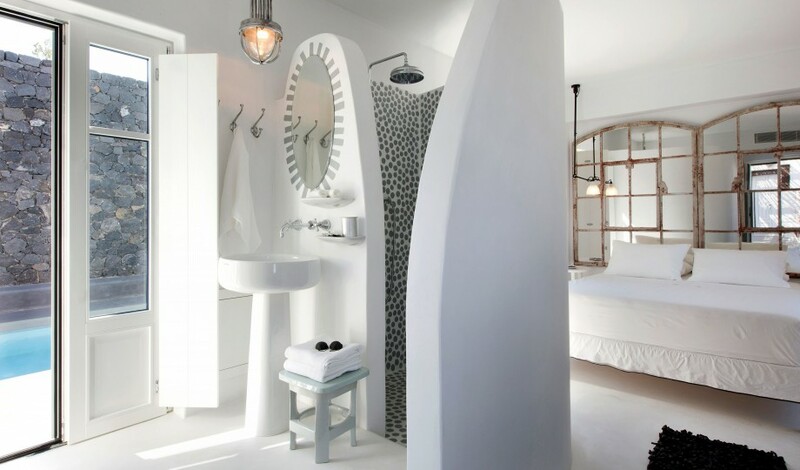 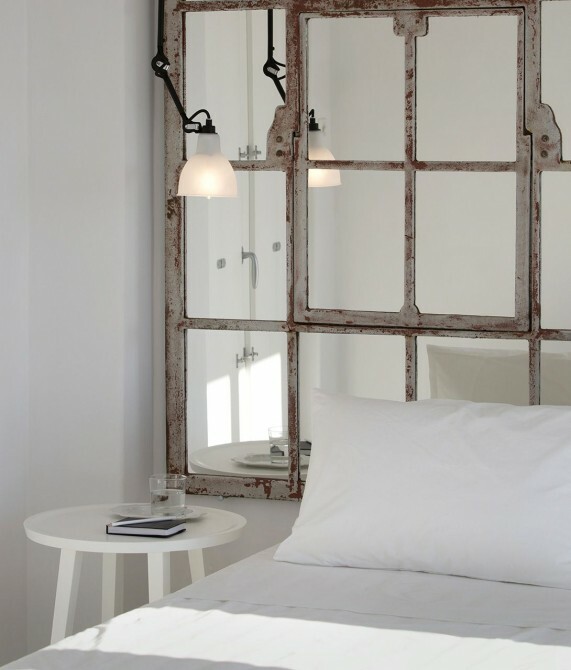 —In the prettiest of the Aegean islands, Erosantorini is an exclusive five-suite getaway designed by Paola Navone that delivers luxury in the grandest sense. Erosantorini may look like the very image of a Greek island resort but come closer and you’ll find a world of unexpected details that make a bold statement in the luxury arena. 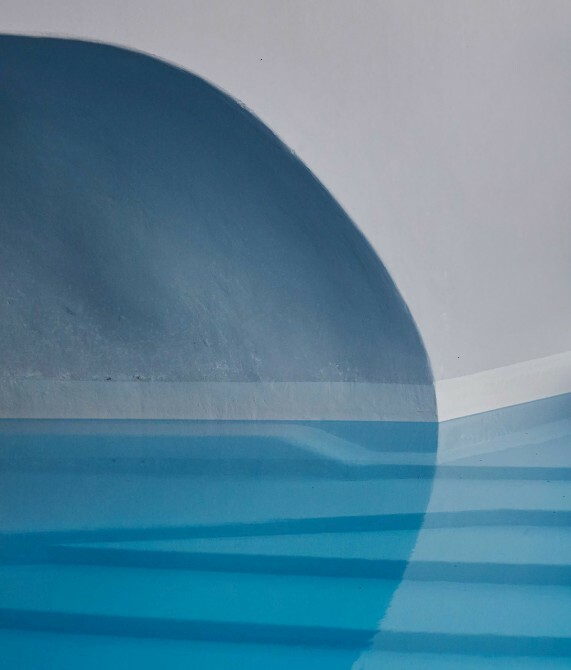 Designed by Milan-based designer Paola Navone, the estate is awash in a palette of mainly whites and grays, with her trademark jolt of the unexpected coming in many forms, including painted carpets on a concrete deck next to an infinity pool that cascades over three levels. 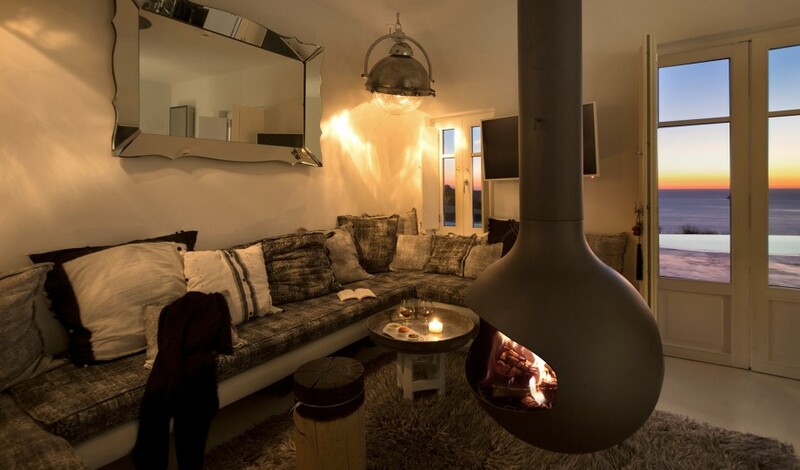 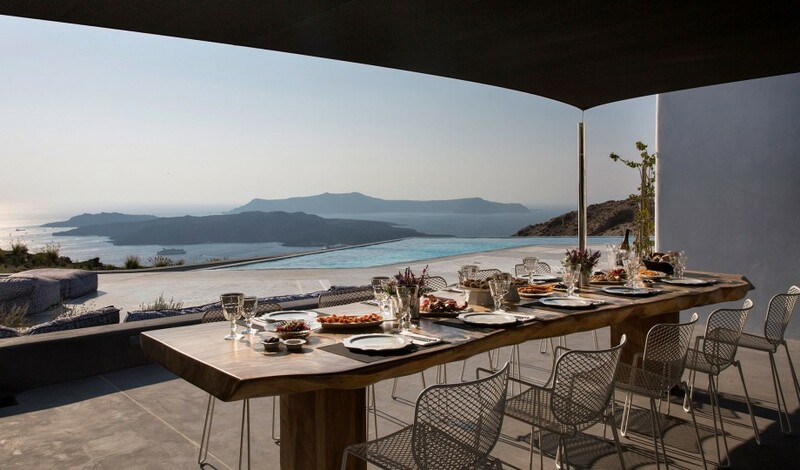 A rarity on Greek islands, Erosantorini—conceived and created by Athens-based x2 Architecture—is open year-round and hence guests discover dramatic floating fireplaces, heated flooring, and heated outdoor Jacuzzis; the property is also augmented by a rare, underground sound system. 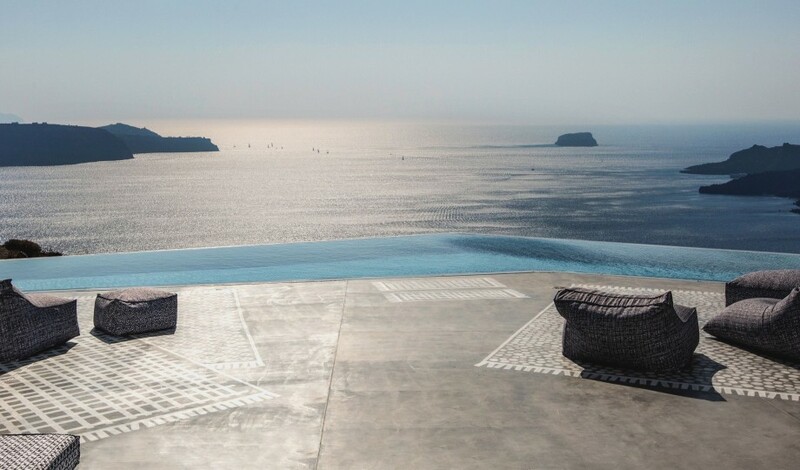 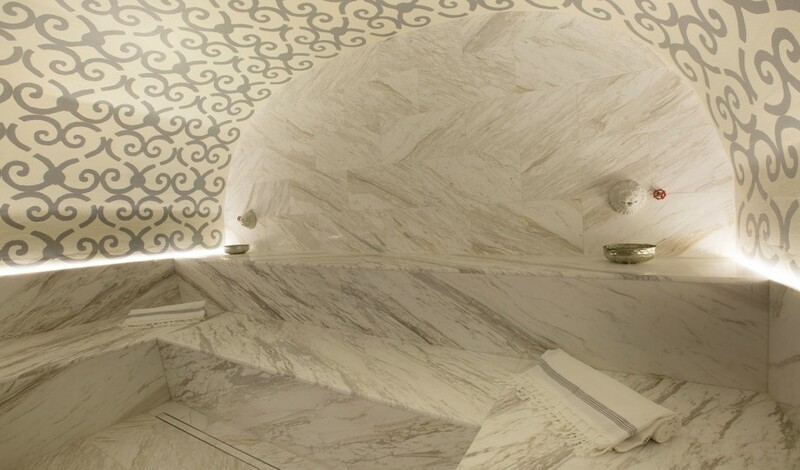 Perched on a 300-meter cliff overlooking Santorini’s iconic caldera on a lush 8000-square-meter estate, the estate presents a spa that showcases the glorious surroundings and offer a rich menu of treatments, a traditional hammam, and an “emotional shower”. 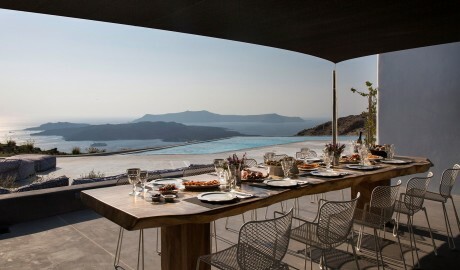 There’s also a private chapel, a wine cellar, and a cinema under that cerulean Greek sky to complete the stunning picture. Please note that the property can be rented in its entirety for special events. For more information, please contact our reservations team. The property’s five guest rooms range from 45 to 95 square meters, and most feature a double bed, an outdoor living area, an outdoor shower, and an indoor shower, apart from the Two-Floor Suite, which plays host to a cave-style bathtub indoors. 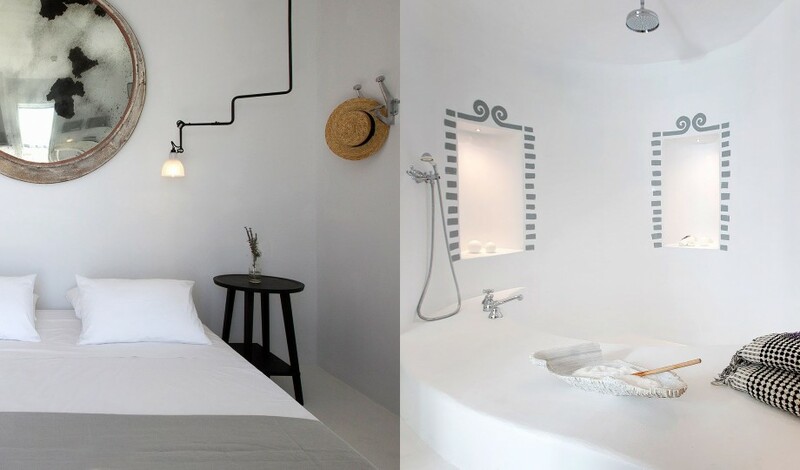 The 30-square-meter Ground Floor Suite and the 45-square-meter Two-Floor Suite boast an outdoor Jacuzzi, while the former also includes a floating fireplace and a garden with a daybed and the latter a rooftop terrace. The Family Two-Bedroom Suite features an outdoor heated pool, where one bedroom has a floating fireplace and gives the option of either two double beds or one double and two twin beds, and the other bedroom offers a garden with daybeds. 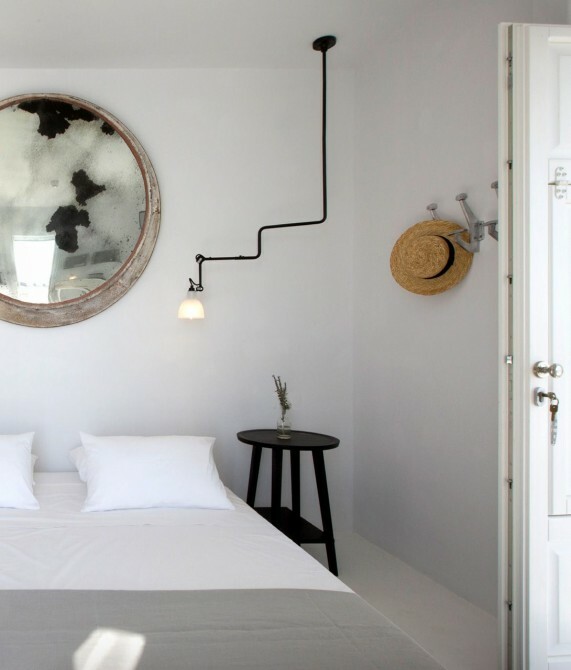 With a visual identity characterized by pared-down simplicity, the interiors feature white walls, suspended fireplaces, and sumptuous fabrics— setting the scene for a one-of-a-kind luxury retreat. 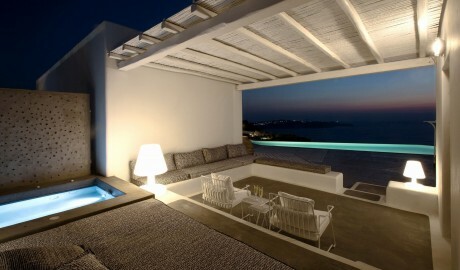 The five independent suites are located on three levels, with 180-degree views of the Aegean. 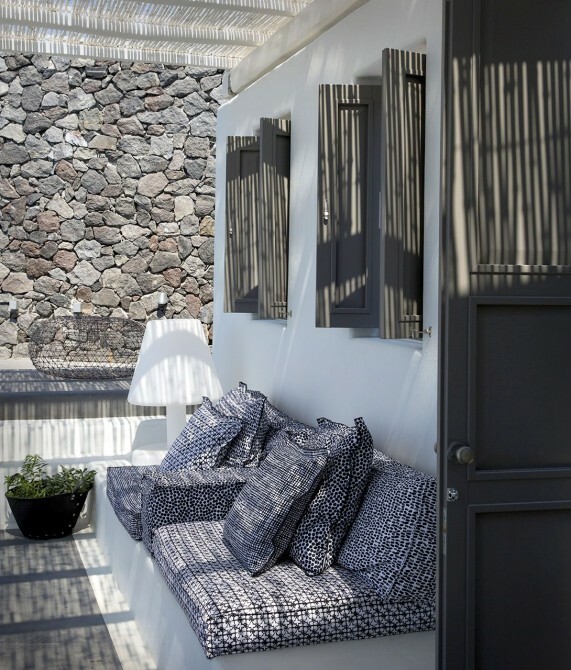 A black dry-stone wall juxtaposed by the white building volumes creates introspective private backyards at the rear of the property. 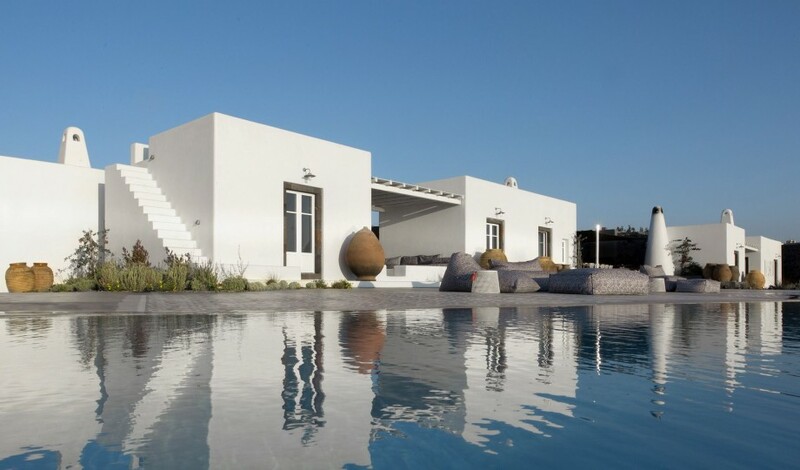 After spending nearly three decades living and working away from Greece, Pavlos Kontomichalos knew that he had to celebrate the singular majesty of his homeland—even from the distant shores of his adopted home in China. 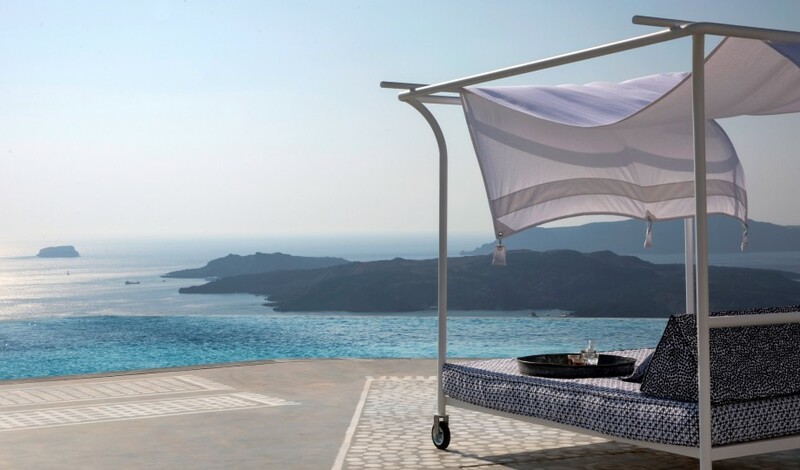 Thus, Hellas Group was born, a consortium of Greek enterprises that represents the stunning climate, purity, and artisanal pride of the country. 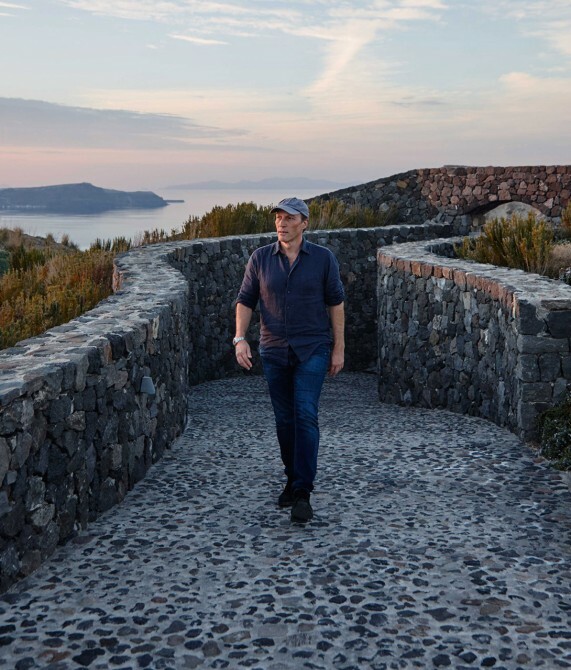 “I tried to find the best things that Greece has a competitive advantage in,” he explains, bringing the highest quality olive oil, wine, food, honey, and cosmetics into his group. 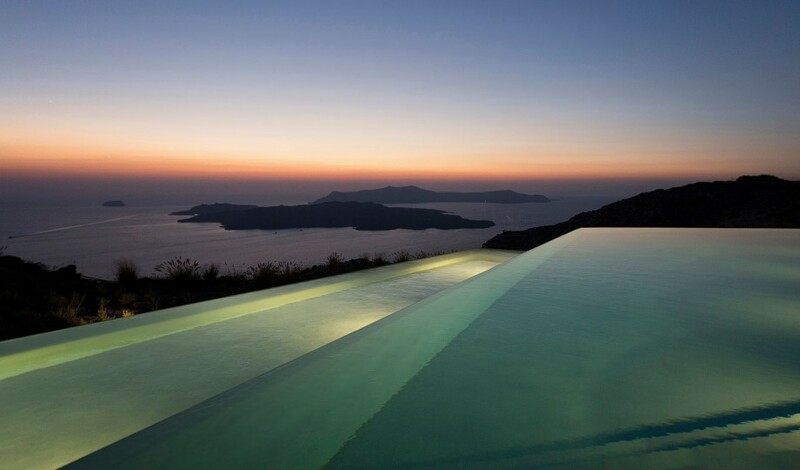 To these he also added Erosantorini, a singular testament to the breathtaking beauty of the place Kontomichalos always calls “home”—no matter where he is in the world. 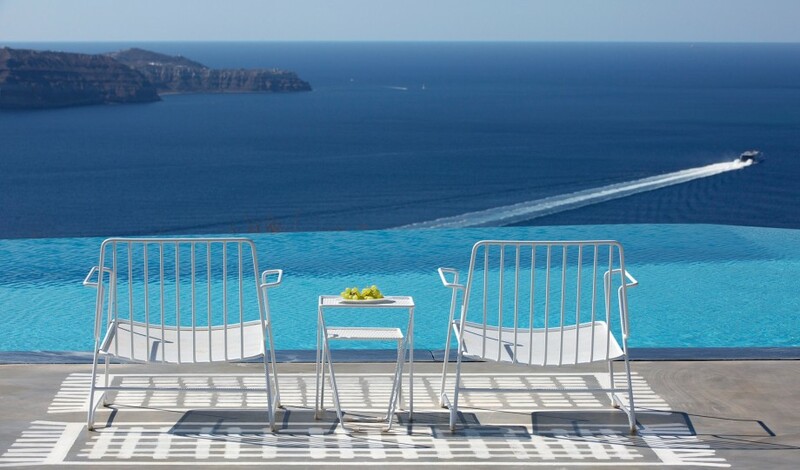 A quaint village in the center of Santorini, around two kilometers away from the bustling capital Fira, Messaria is blessed with magnificent neoclassical buildings, beautiful churches with impressive bell towers, and plenty of options for sampling one of the best cuisines in the world.